Del Ray is rich with architectural history — bungalows, Victorians, post-war rowhouses, and century old farmhouses sprinkle Del Ray’s grid. But take a walk along Mt. 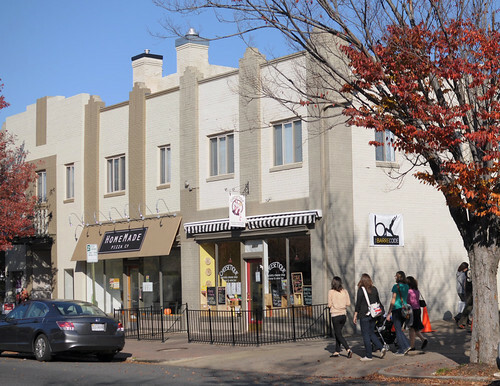 Vernon Ave. and it’s hard to miss one of Del Ray’s biggest influences, Art Deco. I’m a huge fan of the fashion and style of the 1920s and 1930s, so when I found out the Del Ray Citizens Association was co-sponsoring a historic preservation conference with an emphasis on Art Deco, I knew I had to attend. 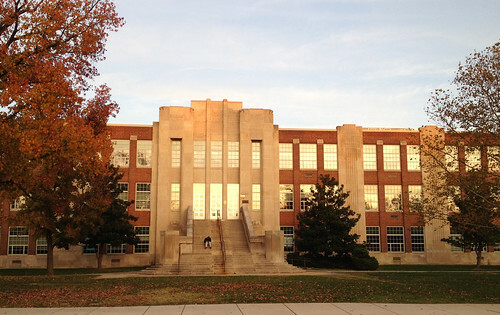 The conference was held last weekend in the cafeteria of George Washington Middle School, one of Del Ray’s finest examples of the Art Deco style. The name Art Deco comes from the Exposition Internationale des Arts Decoratifs held in Paris in 1925. The style’s characteristic geometric shapes, vertical lines and ornamentation can be seen in skyscrapers, offices and commercial buildings around the world. 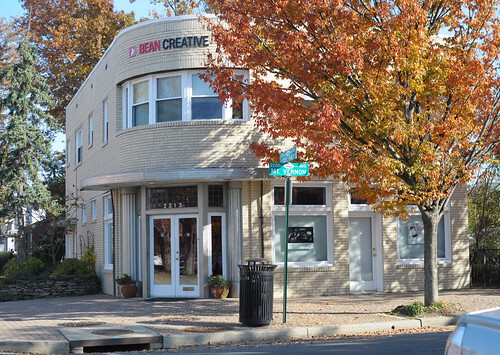 In Del Ray, you’ll see Art Deco all along the Avenue. The chevron pattern over the entrance to Potomac West Antiques is classic Art Deco. More Art Deco ornamentation can be found over the entrance to Bremmer and Goris (at the Post Office building). 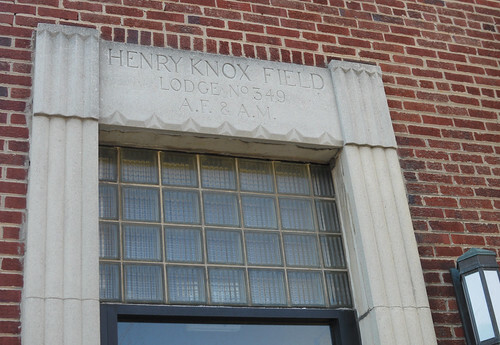 I googled the name Henry Knox Field and found out this was the original home to a Masonic Lodge. The building was dedicated in 1947, and the Lodge sold the building in 1987. 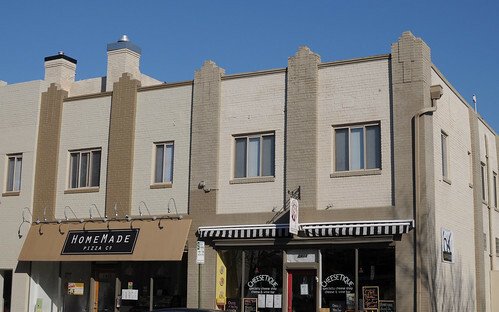 You can’t escape the Art Deco pilasters on the building home to Cheesetique and Homemade Pizza Company. 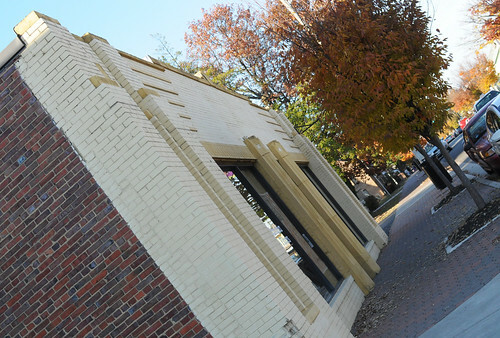 Typically the pilasters were made using limestone or yellow brick to contrast with the red brick. Though this building has been painted, the contrast remains. The pilasters continue all the way down to the Caboose Cafe. 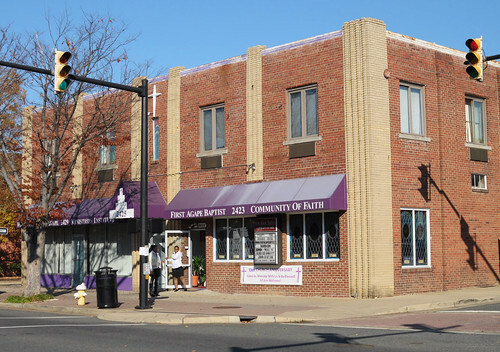 And pop up again right next door at the First Agape Baptist Church. 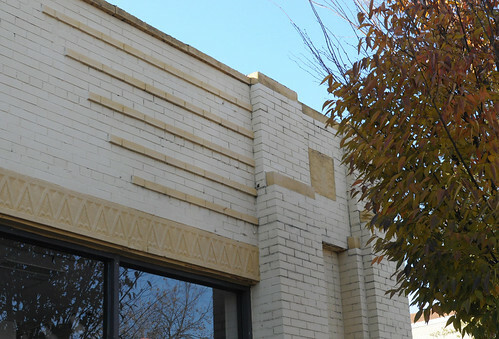 The decorative accent on the signs the Del Ray Business Association installed a few years ago also remind us of the Art Deco building blocks. Similar to Art Deco is Streamline Moderne, whose rounded edges and chrome accents were made to mimic the shape of trains and automobiles. Bean Creative is a great example of this style. The row of triangles along the top of Arlandria Floors are distinctly Art Deco, but the horizontal lines may be more Art Moderne. Either way, it’s a stunning building. If you travel down to Arlandia you’ll see more Art Deco in the shopping center home to Mom’s Organic Market. There are also many examples in Old Town. Art Deco was typically used with office and commercial buildings, so you won’t see it very often in residential spaces. 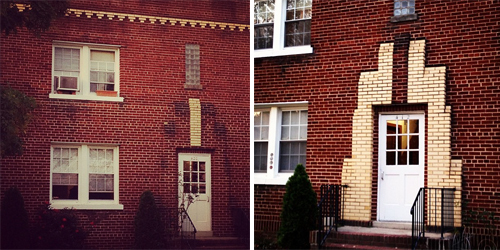 But right across the street from GW Middle School, Art Deco sparkles on these vintage apartment buildings. A rare treat indeed. 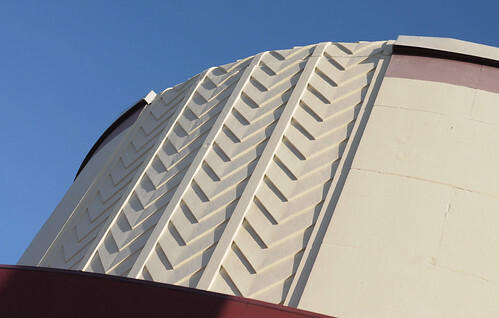 Like all styles, Art Deco’s popularity waned. In post-war times, its detail and ornamentation were seen as excessive. 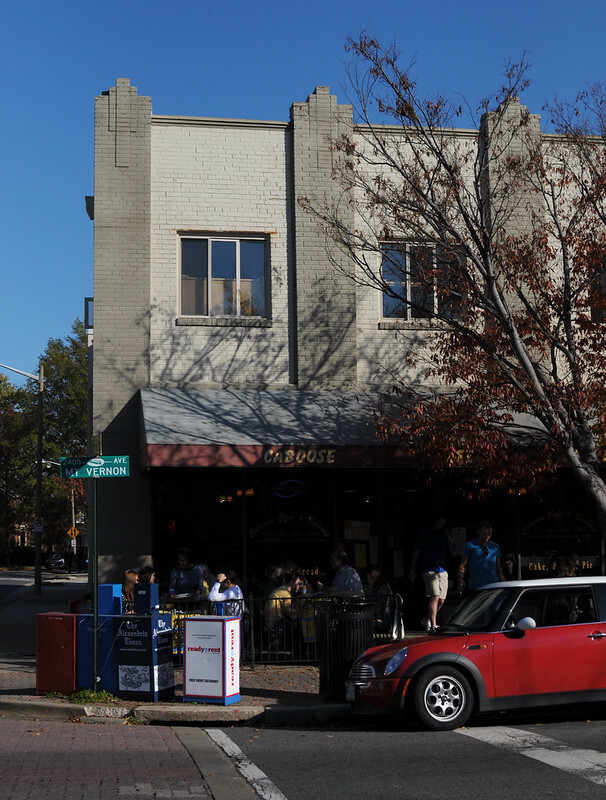 But today, we are so lucky to have a piece of history right here with us, one of the many reasons Del Ray is such a unique and charming place to live. 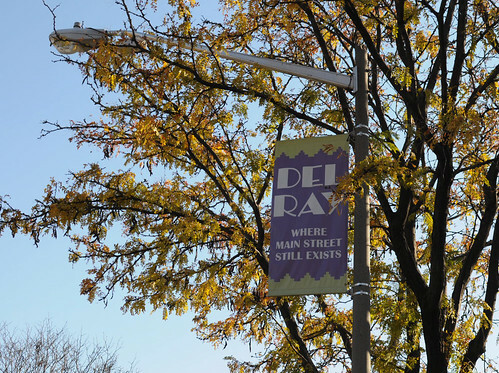 If you’d like more information about the historic preservation conference and Del Ray’s history, visit http://www.thedelraycitizens.org. Very cool! I’m a big fan of Art Deco and other architectural styles of the 20s and 30s. I live in Delray too…. Delray Beach Florida! I am president of the Art Deco Society of the Palm Beaches, A historic preservation organization … We have lots of Art Deci architecture as well that can be seen in my book Art Deco of the Palm Beaches, Arcadia Publications… So nice to read your post! Hi Sharon. Thanks for visiting our site from all the way in Florida. We’ll have to check out your book!